Draft: 2008, St. Louis Cardinals, 2nd rd. Shane Aaron Peterson…attended Long Beach State University (Calif.), where he was a two-time All-Big West performer…his 22-game hitting streak was the fifth-longest in school history (2007)…graduated from Chaparral High School, earning three varsity letters in soccer and four in baseball as well as second team All-CIF selection in 2005… was a member of the U.S. Youth National Team. Spent the entirety of the season with Triple-A El Paso in the Pacific Coast League and hit .286/.343/.451 with, 31 doubles, three triples, 11 home runs and 74 RBI in 126 games... With runners in scoring position, he hit .328 with five home runs and 60 RBI...Excelled against left-handed pitchers, hitting .297 compared to a .283 mark against right-handed pitchers. Split the season between Durham (AAA) and TB...hit .253 (20-for-79) with five doubles, two home runs, 11 RBI and nine runs scored in 30 games with TB...Began the season with Durham and played in a total of 76 games for the Bulls, hitting .286 (80-for-280) with 19 doubles, three triples, 12 home runs, 40 RBI and 39 runs scored...Hit a career-high-tying 12 HR with Durham (also, 2013)...Played in nine games during Durham's postseason run, collecting a 3B, HR and four RBI...Had two different stints with TB (4/14-5/2 and 6/23-7/27)... reached base safely in a career-high eight consecutive games from 4/18-28...Recorded a career-high four RBI on the first day of his second stint on 6/23 vs. BAL. Was a non-roster invite to Brewers spring training…limited to 15 games with Triple-A Colorado Springs due to a pair of stints on the DL for his left forearm: April 18-May 20 and June 3-Sep 6…named Pacific Coast League Player of the Week for May 23-29, which included a 5-hit game on May 27 at Fresno (Astros). Recalled by Milwaukee on June 3 and remained with the club through the end of the season…appeared in 93 games with 45 starts (20-CF, 17-LF, 6-RF, 1-1B, 1-DH) batting leadoff (8), 2nd (3) 5th (6), 6th (14), 7th (6), 8th (7) and 9th (1)…first career homer was Sep 5 at CIN (G2), off Pedro Villarreal…added a pinch-hit HR on Oct 1 at SD (Ian Kennedy)…batted .294 (10-for-34) as a PH. Spent the entire season at Triple-A Sacramento with the exception of a two-day stay with Oakland in April…was recalled April 16 and went 0-for-4 in a start at first base against Houston that night in his Major League debut…also started at first the next day against the Astros and, after walking in the first inning, singled off Xavier Cedeno in the fourth inning for his first ML hit…was optioned back to Sacramento following the game after going 1-for-7 (.143) in two games with the A's…spent the balance of the season with the River Cats, batting .251 with 12 home runs and 79 RBI in 126 games…added 77 walks for a .358 on-base percentage…was 17-for-19 (89.5%) in stolen base attempts…had career highs in runs (70), home runs, RBI, walks, stolen bases and strikeouts (127) and matched his best in doubles (25)… tied for third in the Pacific Coast League in walks and ranked seventh in strikeouts (127)…ranked sixth in the A's farm system in walks and ninth in RBI…led Sacramento in strikeouts and tied for the teamlead in stolen bases…hit .284 (31-for-109) against left-handed pitching compared to .240 (85-for-354) against right-handers…hit five home runs against lefties (1 per 21.8 at bats) compared to seven against righties (1 per 50.6 at bats)…his average improved to .333 with runners in scoring position…batted .233 with six home runs and 45 RBI in 81 games before the All-Star Break, .281 with six home runs and 34 RBI in 45 games after the break…slugged .338 before the break, .473 after the break…hit .327 over the first four innings of a game compared to .186 from the fifth inning on…however, clubbed seven of his 12 home runs in the seventh inning or later…six of his home runs came with runners on base…appeared in 63 games in center field, 33 in left field, 14 in right field and 13 at first base…had nine assists in 110 games overall as an outfielder…committed three errors in the outfield (.987 fielding percentage) and one as a first baseman (.990)…also hit .350 in 10 games as the designated hitter…hit in every spot in the order, including 61 games in the three spot where he batted .301. SACRAMENTO: Reached base safely via hit or walk in 35 of his first 36 games through May 16… batted .295 with a .427 on-base percentage over that span…scored a season-high four runs April 12 at Reno…went 14-for 27 (.519) with five multiple hit games over a six-game stretch from April 10 to 15 and was batting .410 with a .558 on-base percentage over his first 11 games before his promotion to Oakland April 16…finished April with a .437 on-base percentage and 24 walks in 22 games…ranked second in all of Minor League Baseball in walks in April…had a season-best 12-game hitting streak from April 30 to May 12…went 16-for-47 (.340) during the streak, which lifted his overall average to .303…that would be his last day over .300 as he hit .186 (41-for-220) over his next 60 games from May 13 to July 30…went 0-for-5 with five strikeouts May 25 at Tucson…hit .202 in June and .220 in July… his average dropped to a season-low .227 July 30 but he went 35-for-87 (.402) with five home runs and 24 RBI over his next 23 games from July 31 to Aug. 23…had his lone two-homer game of the season and drove in a season-high five runs Aug. 10 at Omaha…went 5-for-5 with two doubles and four RBI Aug. 17 against Tucson…had season highs in hits and doubles in that game…went 4-for-37 (.108) over his final 10 games. Began the year at Double-A Midland for the second consecutive season but finished it by hitting .389 in 38 games with Triple-A Sacramento...combined for a .326 batting average, nine home runs and 46 RBI in 86 games overall...missed a month of the season while on the disabled list with a sprained right ankle...added a career-high 67 walks for a .460 on-base percentage...reached base safely via hit or walk in 78 of 86 games...also had career-highs in batting, on-base percentage and slugging percentage (.510)...was successful in 13 of 16 (81.3%) stolen base attempts...ranked fifth in the A's farm system in walks...batted .343 (73-for-213) against right-handed pitching compared to .280 (21-for-75) against left-handers...hit .326 with runners in scoring position...had a .365 batting average during the day compared to .318 at night...batted .391 in the eighth inning or later...appeared in 60 games in left field, 20 in right field, one at first base and one in center field...also pitched once...was 3-for-10 (.300) with three RBI in four games as the designated hitter...hit in every spot in the order except first and saw his most action with 27 games hitting fifth...also went 19-for-45 (.422) in 13 games batting cleanup...played four games for Estrellas in the Dominican Winter League following the season, going 0-for-9 with a walk. Batted a combined .274 with nine home runs and 59 RBI in 105 games with Double-A Midland and Triple-A Sacramento...scored a career-high 64 runs...tied for eighth in the A's farm system with four triples...was successful in 13 of 15 (86.7%) stolen base attempts, including 11 of 12 (91.7%) with Midland...batted .318 with eight of his nine home runs and 46 of his 59 RBI against right-handed pitching...had a .152 average against left-handers...slugged .495 against righties, .219 against lefties...compiled a .341 batting average in the eighth inning or later...hit .151 with runners in scoring position and two outs...appeared exclusively in the outfield with Midland...did not commit an error in 106 chances in 56 games (35 in left field, 21 in center field)...with Sacramento, appeared in 16 games at first base, 13 in left field, nine in right field and five in center field...also combined to hit .308 in seven games as a designated hitter...hit in every spot in the order except first, second and fourth...began the season with Midland, scoring a season-high three runs in the first game April 7...was batting .278 with six doubles, one home run and five RBI in 14 games when he was promoted to Triple-A Sacramento April 23...hit .293 with six home runs and 32 RBI in 46 games with the River Cats...went 21-for-55 (.382) over a 15-game stretch from May 4 to 19...that included a season-high three hits May 4 against Salt Lake, May 11 at Memphis and May 19 against Oklahoma City...drove in 11 runs in a four-game series at Memphis May 10-13, including a pair of four RBI games May 10 and 12...was sent back to Midland June 21...batted .254 over his final 45 games for a .260 average overall with the RockHounds...stole a season-high three bases June 27 at San Antonio...was successful in 10 consecutive stolen base attempts from June 25 to Aug. 2...his longest hitting streak of the season was six games, accomplished three times over a 20-game stretch from June 25 to July 19...hit .360 over that span...went 14-for-28 (.500) with three three-hit games and two two-hit games during the final streak from July 14 to 19...had season-highs in runs (3), hits (3) and doubles (2) Aug. 2 against Frisco...went 4-for-32 (.125) over his final 10 games before going on the disabled list Aug. 17 with a strained left hamstring...missed the remainder of the season. Spent his first full season in the A's organization at Double-A Midland and batted .265 with five home runs and 59 RBI in 128 games...led the RockHounds with 57 walks...led the Texas League with a career-high eight sacrifice flies...also struck out a career-high 108 times...batted .272 with all five of his home runs against right-handed pitching compared to .253 against left-handers...had a .230 batting average before the All-Star Break, .307 after the break...hit .303 at home but clubbed all five of his home runs on the road...batted .364 in the first inning...had a .196 average with runners in scoring position and two outs...appeared in 64 games at first base, 34 in left field, 16 in right field and one in center field...hit in every spot in the order except second...saw his most action with 37 games hitting third and seventh...hit .278 over his first 14 games before an 11-for-74 (.149) skid dropped his average to a season-low .203 May 17...stole a season-high two bases May 3 at San Antonio...went 25 consecutive games without an extra base hit from May 13 to June 13...finished June with a .192 batting average in 20 games but then batted .333 in both July and August...went 1-for-16 over a six-game stretch from July 5 through the first game of a doubleheader July 12 at Springfield...was 1-for-3 in the second game to start a season-best 16-game hitting streak that ran through July 29...the streak tied for third longest in the TL in 2010...went 25-for-59 (.424) over that span to lift his average from .227 to .262...then went 0-for-16 over his next five games...had a season-high four hits Aug. 22 at Northwest Arkansas, going 4-for-4 with a double, triple and a season-high tying three RBI...went 10-for-33 (.303) with four walks in eight postseason games for the RockHounds. Combined for a .288 batting average, 10 home runs and 63 RBI in 133 games with three teams and two organizations...began the season at Single-A Palm Beach in the St. Louis organization, was transferred to Double-A Springfield July 3 and was assigned to Double-A Midland after he was traded to the A's organization as part of the Matt Holliday trade July 24...had minor league career-highs in games, at bats (513), hits (148), doubles (25), triples (5), home runs, RBI, hit by pitch (14) and stolen bases (16)...hit .290 against right-handed pitching, .285 against left-handers...appeared in 96 games in the outfield (54 in right field, 30 in left field, 14 in center field) and 29 at first base, including 22 with Midland...went 4-for-4 with three doubles in his first game April 9 against Jupiter...hit .370 in April...was named to the Florida State League Midseason All-Star Team...was batting .298 with six home runs and 39 RBI in 76 games with Palm Beach when he was transferred to Springfield July 3...hit .284 in 18 games with the Cardinals and then batted .273 in 39 games with Midland for a combined .276 Double-A average...had a .435 batting average against left-handed pitching and .324 at home with Springfield...was traded to the A's organization with Clayton Mortensen and Brett Wallace for Matt Holliday July 24...was assigned to Midland...reached base safely via hit or walk in 22 consecutive games from July 27 to August 21...hit .321 with a .396 on-base percentage over that stretch...batted .433 (13-for-30) with five runs, three doubles, two home runs, six RBI and four walks in eight postseason games to lead Midland to the Texas League Championship. Batted .291 with 20 doubles and 39 RBI in 65 games in his first professional season with Batavia...walked 39 times for a .400 on-base percentage...tied for second in the New York-Penn League in doubles and was third in walks and on-base percentage...named to the NYPL Midseason All-Star team...led the Muckdogs in doubles, RBI and walks...hit .353 (6-for-17) with three RBI in four postseason games. 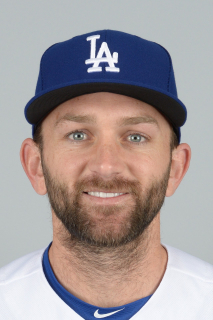 February 11, 2019 OF Shane Peterson assigned to Oklahoma City Dodgers. December 31, 2018 Los Angeles Dodgers signed free agent OF Shane Peterson to a minor league contract and invited him to spring training. November 2, 2018 LF Shane Peterson elected free agency. January 18, 2018 LF Shane Peterson assigned to El Paso Chihuahuas. December 19, 2017 San Diego Padres signed free agent RF Shane Peterson to a minor league contract and invited him to spring training. October 3, 2017 RF Shane Peterson elected free agency. July 30, 2017 Tampa Bay Rays sent RF Shane Peterson outright to Durham Bulls. July 27, 2017 Tampa Bay Rays designated LF Shane Peterson for assignment. June 23, 2017 Tampa Bay Rays selected the contract of LF Shane Peterson from Durham Bulls. May 5, 2017 Tampa Bay Rays sent LF Shane Peterson outright to Durham Bulls. May 2, 2017 Tampa Bay Rays designated LF Shane Peterson for assignment. April 14, 2017 Tampa Bay Rays selected the contract of LF Shane Peterson from Durham Bulls. January 6, 2017 RF Shane Peterson assigned to Durham Bulls. December 22, 2016 Tampa Bay Rays signed free agent RF Shane Peterson to a minor league contract and invited him to spring training. November 7, 2016 RF Shane Peterson elected free agency. September 6, 2016 Colorado Springs Sky Sox activated RF Shane Peterson from the 7-day disabled list. June 4, 2016 Colorado Springs Sky Sox placed RF Shane Peterson on the 7-day disabled list. May 20, 2016 Colorado Springs Sky Sox activated LF Shane Peterson from the 7-day disabled list. April 21, 2016 Colorado Springs Sky Sox placed LF Shane Peterson on the 7-day disabled list retroactive to April 18, 2016. February 4, 2016 Milwaukee Brewers sent LF Shane Peterson outright to Colorado Springs Sky Sox. January 28, 2016 Milwaukee Brewers designated Shane Peterson for assignment. June 3, 2015 Milwaukee Brewers recalled LF Shane Peterson from Colorado Springs Sky Sox. March 26, 2015 Milwaukee Brewers optioned LF Shane Peterson to Colorado Springs Sky Sox. December 23, 2014 Milwaukee Brewers claimed Shane Peterson off waivers from Chicago Cubs. December 19, 2014 Chicago Cubs claimed 1B Shane Peterson off waivers from Oakland Athletics. December 11, 2014 Oakland Athletics designated 1B Shane Peterson for assignment. December 5, 2014 Aguilas de Mexicali placed 1B Shane Peterson on the reserve list. November 17, 2014 Aguilas de Mexicali activated 1B Shane Peterson. November 3, 2014 Aguilas de Mexicali placed 1B Shane Peterson on the reserve list. October 7, 2014 1B Shane Peterson assigned to Aguilas de Mexicali. October 2, 2014 Oakland Athletics activated 1B Shane Peterson. September 29, 2014 Oakland Athletics recalled Shane Peterson from Nashville Sounds. March 10, 2014 Oakland Athletics optioned Shane Peterson to Sacramento River Cats. October 12, 2013 Shane Peterson roster status changed by Oakland Athletics. April 18, 2013 Oakland Athletics optioned LF Shane Peterson to Sacramento River Cats. April 16, 2013 Oakland Athletics recalled Shane Peterson from Sacramento River Cats. March 24, 2013 Oakland Athletics optioned Shane Peterson to Sacramento River Cats. November 20, 2012 Oakland Athletics selected the contract of Shane Peterson from Sacramento River Cats. October 14, 2012 OF Shane Peterson assigned to Estrellas de Oriente. July 2, 2012 Shane Peterson assigned to Sacramento River Cats from Midland RockHounds. May 31, 2012 Shane Peterson roster status changed by Midland RockHounds. March 15, 2012 1B Shane Peterson assigned to Oakland Athletics. June 21, 2011 1B Shane Peterson assigned to Midland RockHounds from Sacramento River Cats. April 23, 2011 Shane Peterson assigned to Sacramento River Cats from Midland RockHounds. March 20, 2011 OF Shane Peterson assigned to Oakland Athletics. March 26, 2010 RF Shane Peterson assigned to Oakland Athletics. July 24, 2009 Springfield Cardinals traded OF Shane Peterson to Midland RockHounds. July 3, 2009 Shane Peterson assigned to Springfield Cardinals from Palm Beach Cardinals. April 9, 2009 Shane Peterson assigned to Palm Beach Cardinals from Batavia Muckdogs. June 10, 2008 St. Louis Cardinals signed OF Shane Peterson.